The application process is simple, takes around 5 minutes for you to complete, is carried out online and you will receive a decision within 30 seconds of completion. Are a resident in the UK for 3 years. Provide an address on your application which is the same as on your credit file. Where delivery is needed, the above address must also be the delivery address. You are happy for a credit check performed when you submit your application. Please call us on 0113 255 5622 or pop into the showroom for more details. 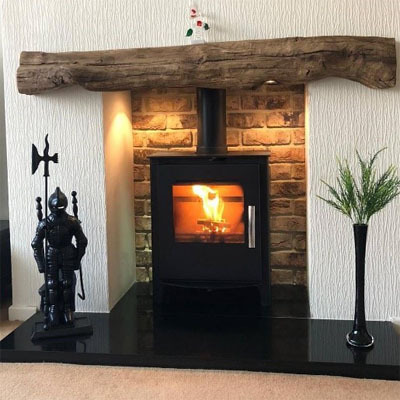 Whether you’ve been considering purchasing one of our premium stoves on a supply-only basis, want us to install a flexible flue liner in your chimney and install a stove, or want us to create your fireplace chamber and fit an Oak beam or fire surround, line your chimney with a flue and install a stove, why not make budgeting for it a little bit more flexible. £143.33 payable per month for 12 months at 0% interest. £203.33 payable per month for 12 months at 0% interest. 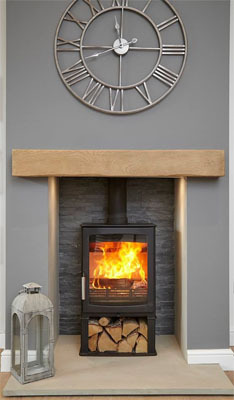 Example 3: You could purchase this Multi-fuel Beltane Chew SE Stove. 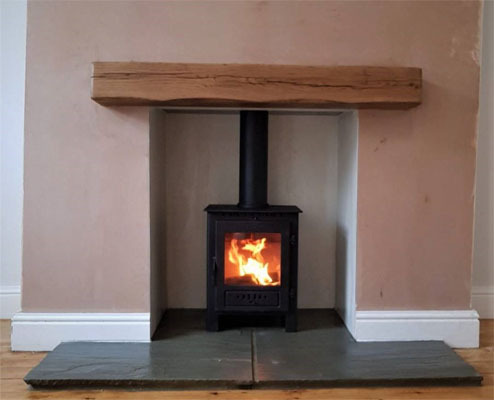 We can knock out the chamber opening, line your chimney with a flexible flue liner and install the stove using our own HETAS certified engineers. The beam is concrete and we used brick slips on the rear of the chamber. We supplied and installed the Granite hearths and heat-resistant downlights for a total of £2900.00. £193.33 payable per month for 12 months at 0% interest.